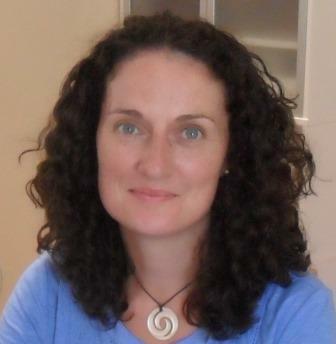 Angela is a Progressive Kinesiologist, Reiki Master Teacher, Touch for Health and 5E Massage Practitioner. She helps people with the physical and emotional stresses of day to day living so they can feel more relaxed, confident, focused and energised. Angela uses a unique combination of holistic therapies including Reiki, Kinesiology, Food testing and 5E massage which are highly effective at reducing stress and promoting health. Her treatments usually take a two-fold approach of practical advice and guidance as well as the holistic therapies themselves. Angela's further qualifications and training in Reiki for Animals and Companion Animal Healing allows her to provide support to her animal clients as well. Having had an interest in self-help and personal development for many years, Angela came to the realisation that whilst we can do a great deal to help ourselves, sometimes we need some outside assistance to help work through particular challenges or health issues. She knows from personal experience how beneficial complementary therapies and a holistic approach can be. Angela loves being able to help others working with both Reiki and Kinesiology. She believes that by working on an energetic level, with qi (life force energy), the benefits ripple out and affect not only the energetic body but all levels of our being. This is why these treatments can be so effective and assist in such a wide range of symptoms and issues. “I have found the centre a calming space and Angela has been sensitive and empathic. I have felt safe to explore all aspects of my physical and emotional wellbeing. Above all I have seen great improvements in my health. Thank you.” - Emma T.
You will find that whilst a great deal of how Angela works is energy based, she has a very down to earth approach to things. She enjoys finding practical ways to help others help themselves. Angela’s clients benefit from her balanced awareness and appreciation of the different aspects of health and wellbeing. This has been gained through a background in science and laboratory work, including clinical pathology and research. She combines this solid understanding and insight into the Western approach to health with the Eastern approach and philosophies that play a primary role in her therapies. “Angela has a wonderful calm non-judgemental bedside manner and made me feel completely at ease in my consultation and throughout my treatment. She is a true professional and her extensive knowledge and passion for her work shows through. I have no hesitation in highly recommending Angela and have done so to all my friends and family.” - Julie O’S. As well as treating clients from her West Sussex practice Angela runs workshops, teaches Reiki and is available to give talks. She also has a passion for helping animals and counts many domestic animals as well as their owners amongst her clients. In addition to her therapy and training practice, she is also a workshop leader and lecturer for Asentia College of Holistic Animal Therapy. She is a member of the following professional bodies: Kinesiology Federation and the UK Reiki Federation. CONTACT Angela if you would like to find out more or to book a treatment.